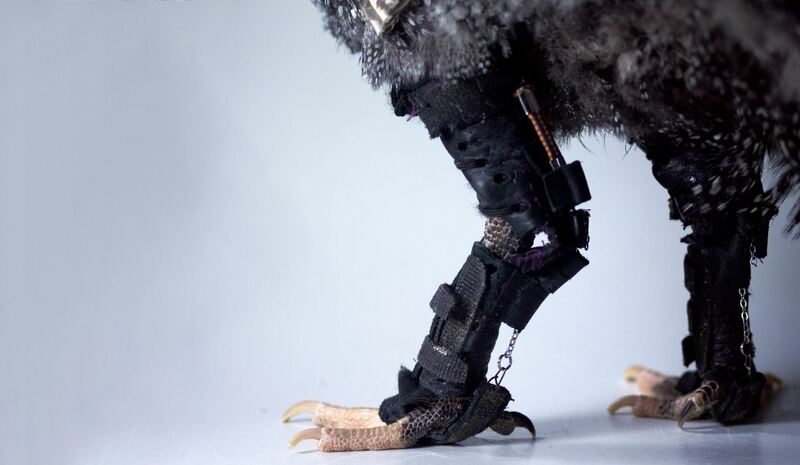 RoboBird: In collaboration with Jonas Rubenson and Greg Sawicki, I have built a lower limb orthosis for a guinea fowl. We’re exploring the long-term musculoskeletal and neuromechanical adaptations to wearable rotobtics to probe the plasticity of elastic systems. Many elastic systems consist of a muscle in series with a spring (often a tendon) that drive the motion of some mass. Guinea fowl, for instance, store and release elastic energy through the stretch and recoil of long tendons in their limbs to power walking, running and jumping. Since elastic systems need to be tightly tuned to work efficiently, and some components of a muscle-tendon-unit change during growth in response to environmental conditions, we’d like to know whether other components also change to keep the system in tune. In collaboration with Jonas Rubenson, I’ve been looking at how muscle, tendon and bone properties vary between guinea fowl raised with whole body environmental differences (those reared with large amounts of activity and those with restricted movement) and local variation (single muscle paralysis with botox) and how those changes are reflected in functional measures like jumping ability or metabolic efficiency.